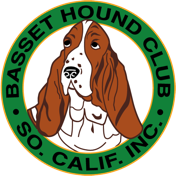 While there is only one Standard for basset hounds in the United States, basset hounds in some countries are judged by the FCI Standard. Since the United Kingdom, not France, is considered the country of origin for basset hounds the FCI Standard is based on the UK Standard for Basset Hounds. Judges at sanctioned dog shows and matches in the countries that belong to the FCI use this Standard to judge the dogs appearing in their ring. The purpose for these events is to assist breeders in selecting the best breeding stock. This Standard was updated in 2009 after the UK Standard was revised due to health concerns thought to be related to some extremes being bred into some basset hounds.